Gina (my wife) loaned her the first Walking Dead Graphic novel. Since then she's bought over 80 issues of the series from the website and is currently caught up on the entire run. AND because she was buying her comics from the site, she found out about the DC Relaunch and is now buying Aquaman, Justice League, Animal Man, Green Lantern and Green Lantern Corps. She asked me to recommend some other titles, so I suggested Y, The Last Man and the new Wonder Woman. I mention all this because whenever I post one of my sidewalk rants about how paper comics are going to practically disappear soon, my critics always like to counter by suggesting that the process will be a slow, steady decline which might take decades. What those naysayers always forget is that sometimes things happen, like a Walking Dead television show, that causes a huge tidal wave of interest in digital comics. These unexpected (by my critics at least) paradigm shifts in turn cause other jumps in the process (like DC making a Y, the Last Man movie) which perpetuates the accelerated decline. That may seem like an awful lot to extrapolate from the random buying habits of my Sister-in-law, but as card games go, Marvel/Disney have yet to make a grand play, so let's keep watching. Today, Caine brings us another Hi Rez Review. This time of the first story arc of the newly relaunched Daredevil. 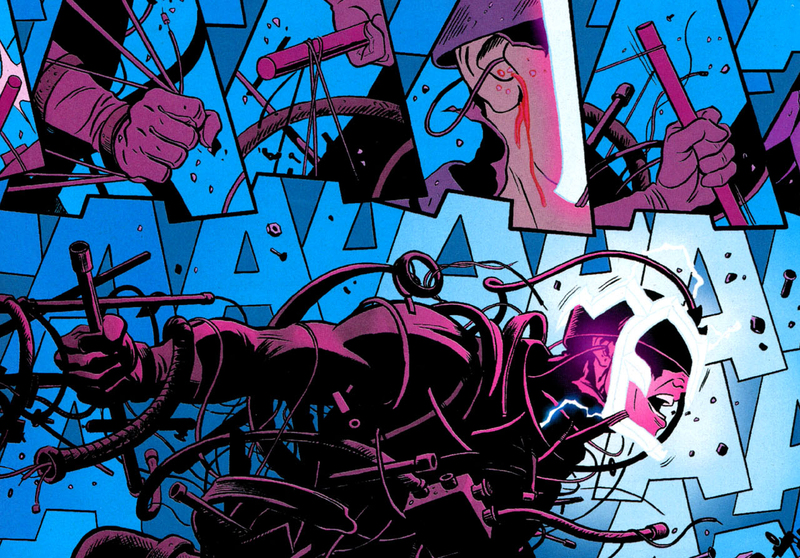 The man without fear (Daredevil) is bringing fun back. Let me just get this out there: I wasn't a fan of the Bendis/Maleev 4 year run on Daredevil and I'm happy to say that Mark Waid and Paolo Rivera's run hits the ground running 180 degrees in the opposite direction story wise. Mark Waid has done an excellent job of taking everything that's happened to Matt over the last six or eight years: quantified it; keeps what he likes; and respectfully leaves everything else alone like a sleeping junk yard dog. Those story elements haven't been thrown away or removed from cannon they are just no longer the focus of the book and are clearly in Matt's (and the supporting characters) history. The first issue opens up MacGyver style where Daredevil ends one mission and starts another as Matt Murdock in Matt's own corner of hell's kitchen: the court room. He takes on the legal defense of an innocent man that only Matt believes to be innocent but he'll need more than Foggy Nelson and a good honest judge to prove it. Don't forget the world still feels as if there may be some truth to the rumors that Matt Murdoc is Daredevil - who recently went insane and might be responsible for several deaths in the Shadowland incident. 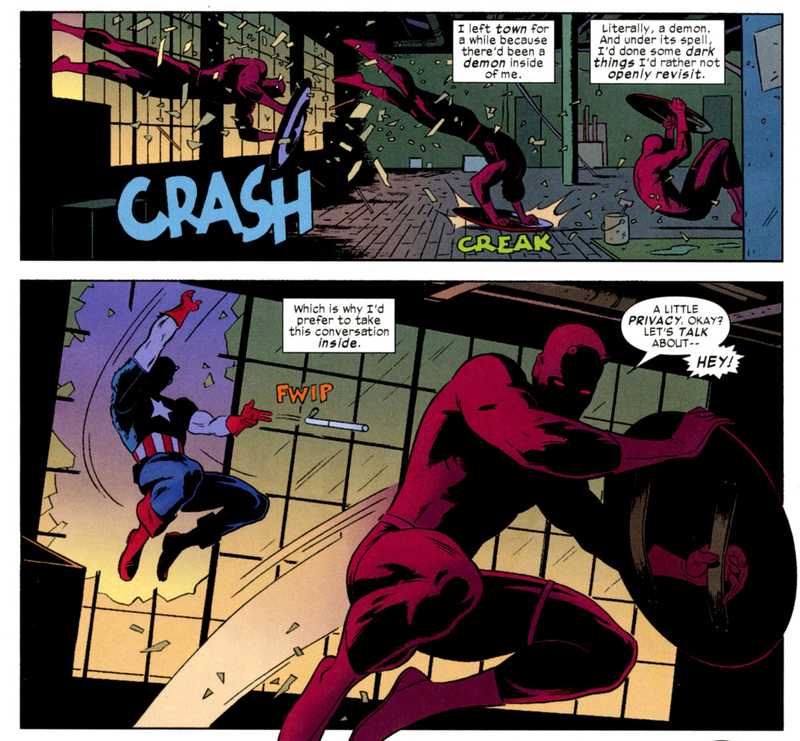 Matt's powers and abilities as well as Matt's personality under the Daredevil mask, are put to good use in the story. Mark Waid has re-established Matt as as solid individual dedicated to a mission. Mark has captured a Matt Murdock that's not been seen for a decade or more, he's shed a lot of Matt's darker pshycological aspects (I don't want to label them as I've not read DD in a few years because of them). There's a lot more dare than devil in DD these days. While Mark has shed plenty of what's been done to Matt as of late, it's not been forgotten or dissapeared completely. That would be cheating (like a reboot or relaunch of sorts huh DC?) so Mark embraces it and those elements serves to enhance the story. 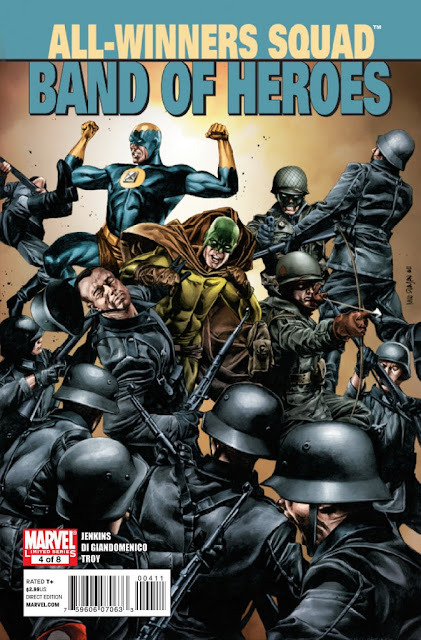 The second issue (as well as the third) is structured very similarly to the first with Daredevil having to answer for his crimes of the past via a unique pop quiz delivered to him by another superhero and only once he's passed it (sort of) can he be allowed to move forward and continue with the legal case that consumes his mission for justice. Let me just say that Mark Waid is the master of the one page character introduction and he uses the technique in all three issues. Mark is able to use the test to share new aspects of both the characters and instantly remind us the reader that Daredevil has a large history of doing good in the Marvel Universe and is interconnected to several of the heroes of the even though he's never been a mainstay of any particular team book. As the issue rounds out to the end Mark again finds a way to keep Daredevil of guard in a very unique fashion, if this keeps up I imagine it to being similar to Ron Marz's promise to never have Green Lantern craft the same thing twice while ring slinging. This is an awesome scene, easily one of my favorites. Once again as issue three opens the single page intro (or recap - or both) is used really well here. 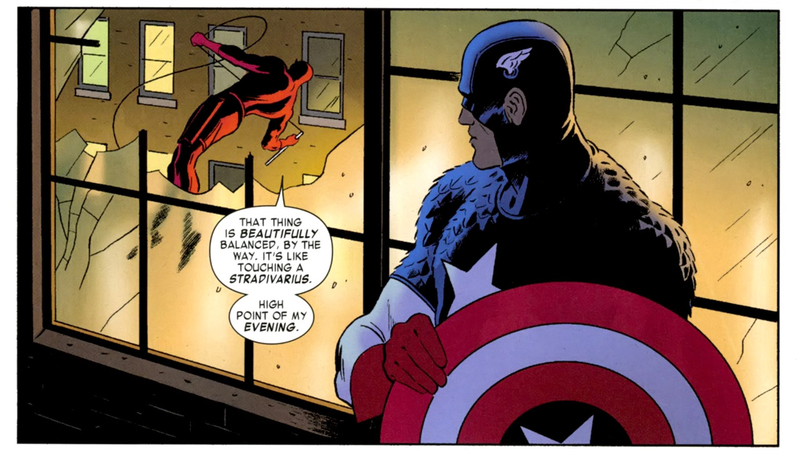 Mark infuses a single page with enough dialogue to remind us of who Daredevil is, why hes currently in the perdicament he's in, how much history he has with the Marvel Universe, and how much lighter his outlook on life is now a days. The true villain is finally revealed, and we the readers see how this villain's actions effect both the street crime Daredevil is dealing with as well as the court battle tangling up Matt and DD's lifes on all sides. This issue has a lot more action in it. The court room/ street battle ratio is flipped with issue three in that the street battle is favored and it's moved to the front of the book so that the court room can be in the back. Like an ending of sorts. A happy ending? We'll you'll have to read it to find out. I can't recommend this book enough. It's a light read, but one not done in five minutes (I always hate that). It's a fun read that will leave yo laughing. It's an action packed adventure captured very effectively in 2d and not surprising it's just damn good. The flipside is if you don't meet your goal, the people who pledge don't get billed and you end up getting nothing. For contributors, it's sort of a no lose situation and I've contributed to quite a few projects myself. Still, there are plenty of projects that don't meet their goal. 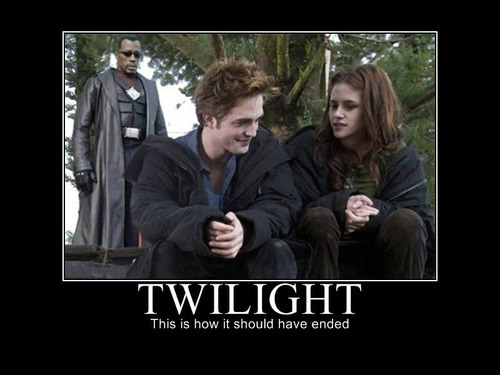 Like this one Pierre sent me via email. This guy was was trying to get a set of Bronze Age homage called Magnet Comics funded. I think the key is to set a low goal, but then if your goal is too low, how do you publish the project? Anyone out there have any personal experience with Kickstarter? Either as a creator or a contributor? Also, I'm not really interested in making paper comics or graphic novels, so I wonder if people contribute to digital comic projects? I'll have to search the site some more and see if I can't get some meaningful statistics. 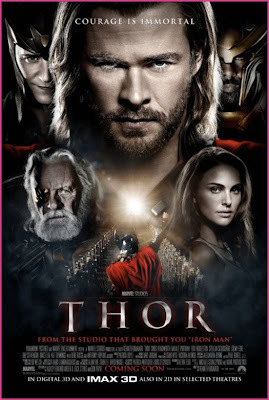 Marvel - All Winners or All Losers? 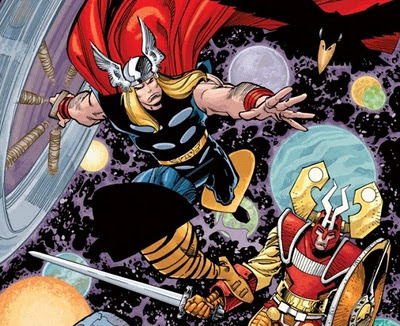 So...in case you haven't been following the comics news-a-net lately, Marvel seems to be showing signs of what I like to call, Ef Upedness lately. It's that point in a company's lifespan when you start to see the writing on the wall that indicates you need to get the hell out of there because it might not be around for long. First, they have been laying off an alarming amount of staffers even after reporting a profit for this quarter. I am annoyed by any of these titles being cancelled, but it doesn’t surprise me. The one that REALLY gets my goat though is ALL-WINNERS SQUAD: BAND OF HEROES There are 7000+ people that are reading that mini And enjoying it) with more waiting for the trade. If Marvel cannot complete a commitment to the fans (they comitted to a mini-series, its not like anyone expected an on-going!) by producing just 8 issues then they should not be in business. I understand low sales causing an on-going (or what was thought to be up-graded to an on-going) to be cancelled but to canceo a mini-series is both lazy and un-professional. As noted, there are 7000+ fans who want to see the story completed asnd, for a mini-series the sales figures have not been bad! Now, I'll be honest, I wasn't buying All-Winners Squad because, well, y'know (Modern Comics Suxors) but I have to agree with Hawk_Fan. 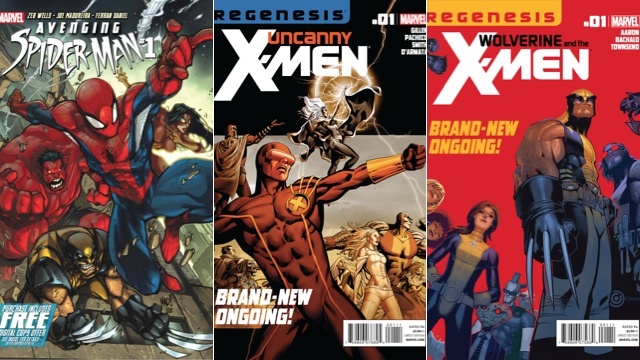 There is something particularly suspcious about Marvel pulling the rug out from under a mini-series that only had 3 more issues to go. 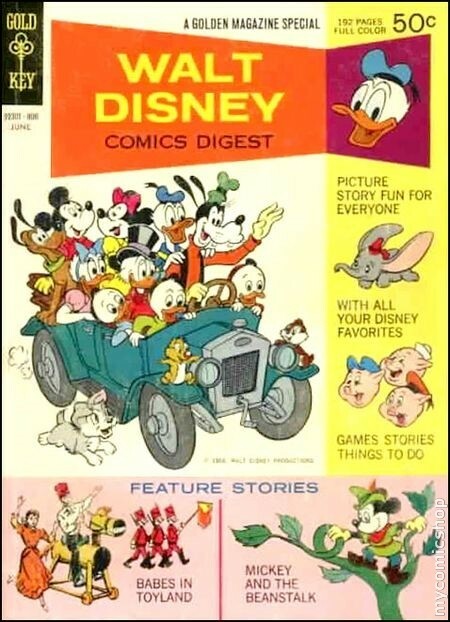 I know a creator who works on Disney comics who has told me face to face that Disney has no interest in the comic book business. And why should they? Disney makes more money off of Movies, Toys and Theme Parks than Marvel could ever imagine. 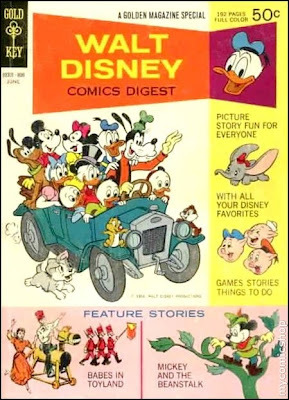 A comic that sells 100K is a big deal to the comic world, but to Disney, that's not worth getting out of bed for. 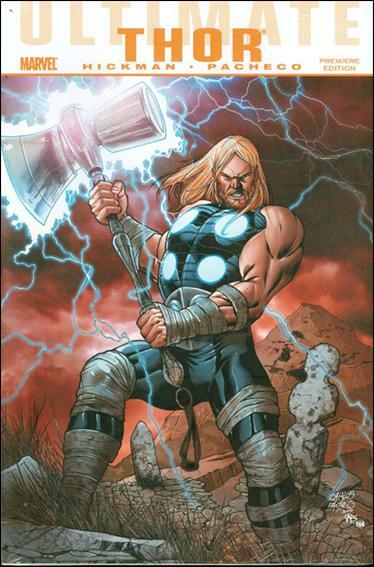 So, at the end of the day, when Ike Perlmutter has to explain to his new bosses how Marvel missed their quarterly expectations, I can see how he might end the explanation with..."But we are looking for ways to trim costs..."
Perhaps I should start a Marvel Comics Deathwatch? 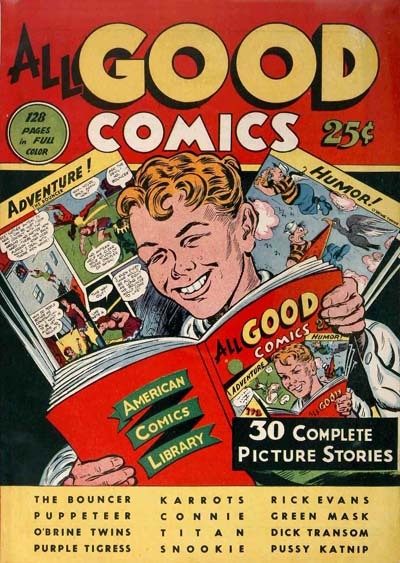 Anway, as far as All Winners Squad goes, none of the old Golden Age comics are in Public Domain, so for today's Free Comic, I present All Good Comics 04. Because the internet issues, I have to post with my phone today, so this ain't gonna be pretty. I just saw the sales on the Retroactive comics from DC at the Beat. My Thoughts: This makes me a little sad, because I really enjoyed the Retroactive books, but looking at the sales, I don't think DC is gonna try something like this in a while. Which begs the question why didn't you do well? Was it retailers? Lack of marketing? Apathy from comic buyers? An unfortunate combination of all three? I am going to place the bulk of the blame on retailers, because in my local comic shop most of these comics sold out. Marketing seems less guilty as generally the comics got a good bit written about them on the internet before they came out and then more buzz about them as they were reviewed by bloggers and podcasters. To me, this feels really feels like a case of retailers not gauging the audience very well. As further proof, I would present the amount of reorders on the DC 52 which were all returnable. The fact that so many of those sold out multiple times shows retailers are just not paying attention. As the NEW DCnU started, I came to realise that we had not seen the LAST of the DCU yet. That there was still ONE DCU comic left. The NEW Teen Titans: Games Original Graphic Novel. It was one of those happy accidents that are not really planned as such, but somehow that is how it happened. Games ended up being the very LAST comic set in the DCU (before Flashpoint). I first became a fan of the New Teen Titans in 1984 when I bought the first issue of the series. 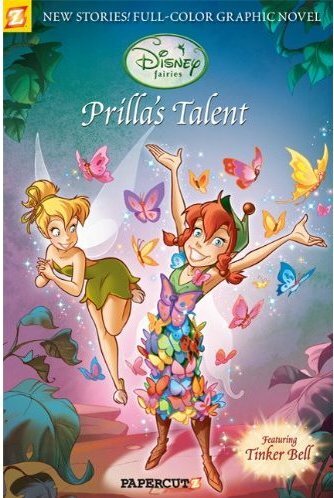 It seems that the series in French was about 4 years behind the American version of the series. And I LOVED every seconds spent reading that first issue. 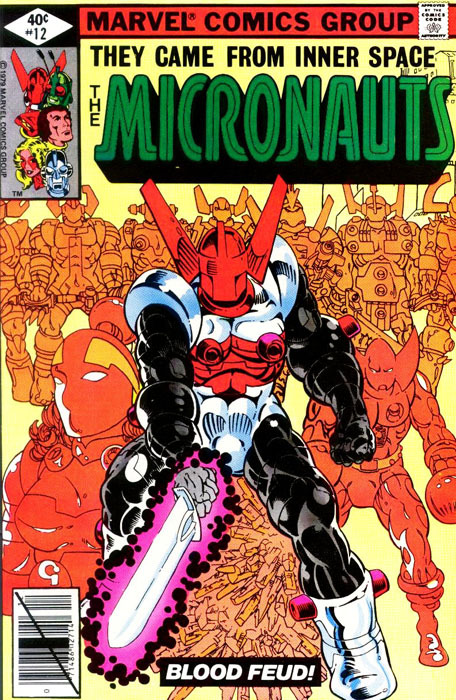 Actually it was the first 2 issues since in French, the series was bi-monthly and we had 2 stories per issue. Damn how that was good. I loved all of the Titans characters. Other than Robin and Kid Flash, all the characters were new to me, but all of them were strong characters. There was no weak character in the bunch. So no wonder it was such a hit. Everything about that book was very strong. Although later I was not crazy about Wonder Girl becoming Troia, or the addition of Jericho or Danny Chase, it did not change the fact that the first 50 issues of the New Teen titans were one of the strongest run in DC history. So like many others, I was thrilled to learn that there was still one hidden gem by Wolfman and Perez that we had not seen before. And although it got a few false starts, The NEW Teen Titans; Games OGN is finally here. And it is all kinds of AWESOME!!! Heck even seeing Troia, Jericho and Danny Chase once more was fun, despite the fact that I never really cared for them. So can you imagine how FUN!!! It was to see the characters that I loved like Nightwing, Starfire, Cyborg, Changeling, Raven and Donna Troy (yes I count her separately then Troia)?? It is difficult to describe the joy I felt to see those characters once more. It was not unlike when I read Formerly Known as Justice League, or more recently the Retroactive Justice League of America. It was like seeing old, dear friends that I had not seen for years. It was so good, so sweet that words fail me (what can I say, I am not a word guy, that’s Jim’s job. ;) ). “Sweet” might be the wrong word, “Bittersweet” is actually more like it since as you read the tale in Games, you cannot help but think that this is IT! This is the last time that you not only read about those characters, but this is the very LAST time that you read a tale set in the DCU. This IS the end of the DCU. So even small moments like seeing Roy Harper as Speedy or Wally West as the Flash were charged with emotions that was not originally intended when this tale was first conceived. Was this book perfect?? No. Not even close. And they later tried to fix the story multiple times, while trying to use as much of the artwork that George had already done. So it did create some confusion that is obvious while reading the story. And the villains are pretty forgettable. And again, once you read the tale, you realise why. They needed villains that would appear in that story only. What you could call “one shot” villains, or disposable villains if you wish. So they created a bunch of villains that they needed to tell their story that we never saw before, and that would be dead by the end of the story. So they did not waste too much time creating the most awesome villains of the universe. They just created villains that would serve the story they wanted to tell. And I am sure that many will poke fun at Nightwing with his “disco” collar (although I like that design myself). And despite all those flaws, that comic stand above pretty much any comic on the stand right now. The artwork by Perez alone is worth the price of admission, but even with its flaws, the story is a fun and intriguing story. And somehow, There seems to be little buzz online for that comic. I barely saw a few reviews, and did not see any reviews from some of the comic sites like ComicsBulletin or Newsarama. Heck even the DC message boards barely has a few comments for this comic. Did it get lost/ignored amidst all that 52 craziness?? It breaks my little heart. If you are a Titan fan, or if you are a fan of good comics with strong storytelling, you must get yourself a copy of this comic. 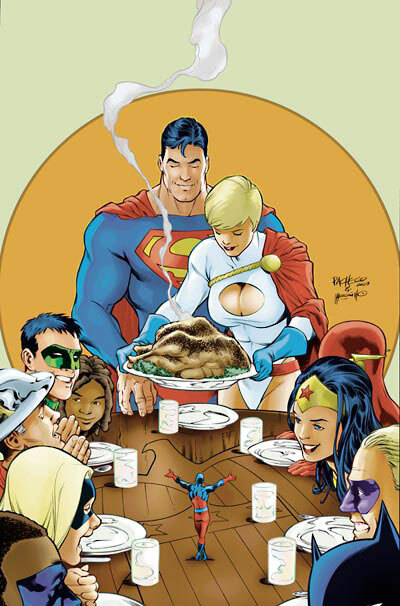 So unless DC decided to publish any more of their Retroactive comics, this is IT. This is the last DCU comics EVER. 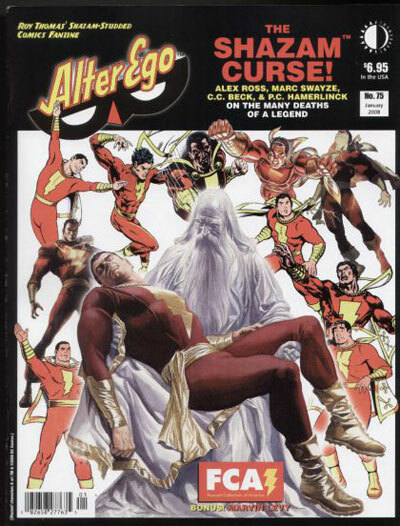 It was announced this weekend at New York Comic Con that Geoff Johns will be writing a backup in the new Justice League omniously called The Curse of Shazam. which promises to reluanch the Golden Age Captain Marvel into the newly revamped DC Universe. ..but the more I thought about it, the more I'm convincing myself it might work. Johns did a great job with the Billy Batson character in JSA. 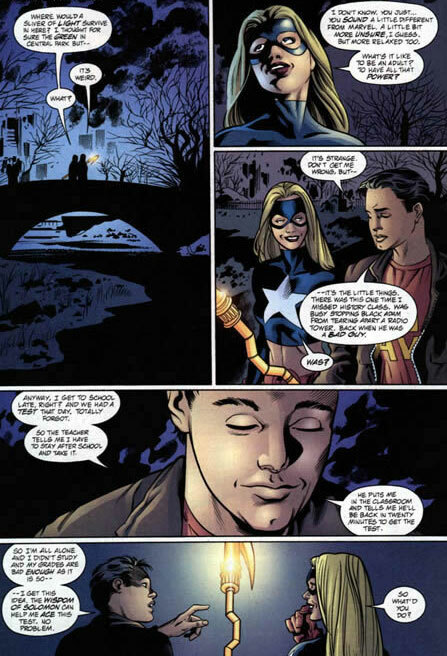 The scenes with Billy and Stargirl was some of the nicest teenage romance writing I've seen in DC comics in the last decade. 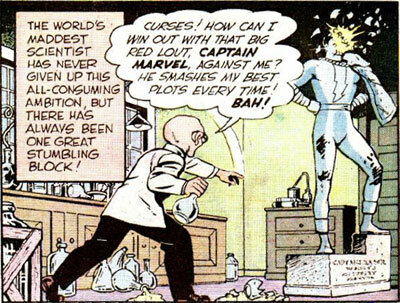 And while it is typical of fans of the Golden Age Captain Marvel Character to decry any take on the hero that doesn't smack of the lighthearted whimy from the bygone days (myself included) but in Alter Ego 75, noted Fawcett Historian PC Hamerlinck makes an impressive case for updating the character. So, even if the mention of Geoff Johns' name does make me think of comics with people exsploding everywhere, I'm willing to give his new take a try. Even it if can't match the magic of the original Golden Age versions, it may be enjoyable. With that, I present today's Free Comic - Marvel Family 45!